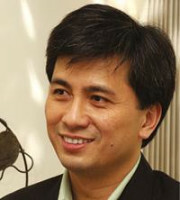 Guan Huat Khoo began his legal career with the Attorney General’s Chambers in 1987 and joined SKRINE in 1993. He chairs the firm’s IP dispute resolution practice group. He regularly appears as counsel in courts at all levels, participates in arbitration proceedings and has sat as arbitrator in many matters. Mr Khoo consults and provides advice on a number of matters, including anti-money laundering compliance issues for financial institutions. He has also appeared as a Malaysian law expert witness in various proceedings, including arbitration in the United States and Singapore. Mr Khoo was part of the Malaysian delegation sent to the Arbitration Working Group at the United Nations Commission on International Trade Law (UNCITRAL), resulting in the publication of the revised UNCITRAL rules in 2010. He also has experience in providing advice in matters involving anti-money laundering compliance issues. In 2008 Mr Khoo appeared as one of the counsel in the inquiry hearings conducted by a royal commission set up by the Malaysian government and is the first Malaysian lawyer with full registration to practise in the Singapore International Commercial Court. Mr Khoo has been represented in several publications, including Asialaw’s Leading Lawyers, Chambers Asia Pacific (for intellectual property), Legal 500 Asia Pacific, WIPR Leaders and Who’s Who Legal.